The pristine beaches and crystal clear blue water of the Fiji Islands are a haven for filming movies and television series. Moviemakers flock to the country for the ideal setting, dependable weather, and friendly locals. Here’s a look at some of the movies that graced Fiji’s idyllic islands. The first film to take place in the remote islands was Mr. Robinson Crusoe. The movie starred Douglas Fairbanks and it was shot in the early 1930’s. A wealthy sportsman bets money that he can live on a simple tropical island for one month without any of the comforts of civilization. In addition to Fiji, the movie was also shot in Samoa and Tahiti. The first filming of the British romance and adventure film The Blue Lagoon was shot in the Yasawa Island Group in the late 1940’s. The first flick starred Jean Simmons and Donald Houston. The South Seas adventure tale His Majesty O’Keefe was filmed on Fiji’s main island. A Yankee sea captain has adventures while aiming to become an entrepreneur in Micronesia. The filming locations included Pacific Harbour, Grand Pacific Hotel, and Cummings Street, all located in Suva. 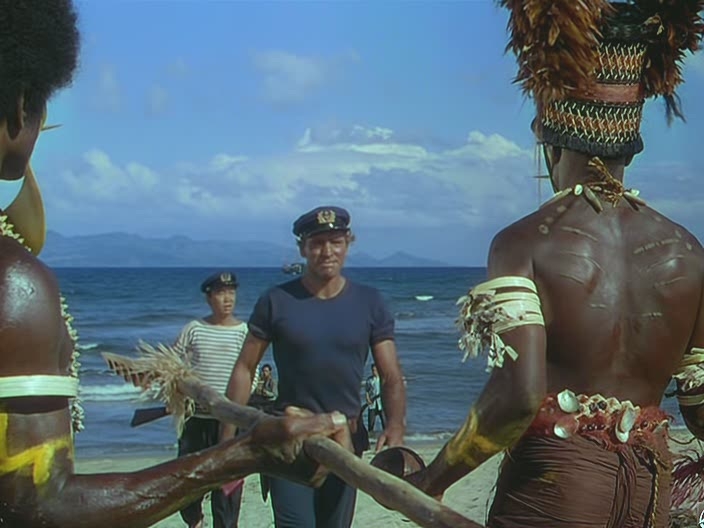 And the locals, customs, and dances shown throughout the film were Fijian! And again The Blue Lagoon comes back to Fiji with a remake starring Brooke Shields and Leo McKern this time. They shot the movie on Nanuya Levu/Turtle Island in the Yasawa Island Group. In the early 1980’s, on Fiji’s main island of Viti Levu in Pacific Harbour, Tommy Lee Jones filmed Savage Island. The action-packed pirate tale is set in the mid-1800’s. 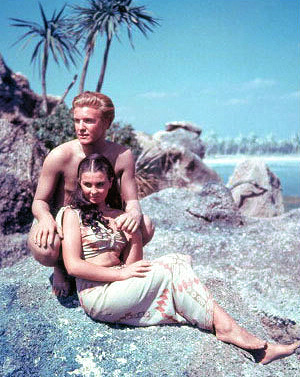 Milla Jovavich and Brian Krause filmed the Return to the Blue Lagoon in the northern part of Fiji in Taveuni. The location differed from the two Blue Lagoon movies before it. Island Group. It was released in 1997. In 1998, Jim Carey obsessed over Fiji during the movie, The Truman Show. The country of Fiji seemed to represented hope for him, which ultimately helped motivate the character get out of his current situation. Monuriki Island in the Mamanuca Island Group was picked to be the filming location for the popular movie Cast Away starring Tom Hanks. The movie is about a FedEx executive learning how to survive a crash landing on a deserted island. Contrary to what some think, the movie was not filmed on Castaway Island (note “Castaway” as all one word this time), although that island is pretty close to Monuriki! The 2004 adventure horror flick is about (you guessed it) being hunted by the deadly anacondas inhabiting the island. Anacondas: The Hunt for the Blood Orchid was shot in the popular filmed area of Pacific Harbour on the main island of Fiji. Boot Camp was released in 2008, starring Mila Kunis, Gregory Smith, and Peter Stormare. The suspense thriller was shot in Fiji and then finished in Calgary, Alberta, Canada. Misfit teenagers are sent to a rehab camp on a remote island in Fiji. 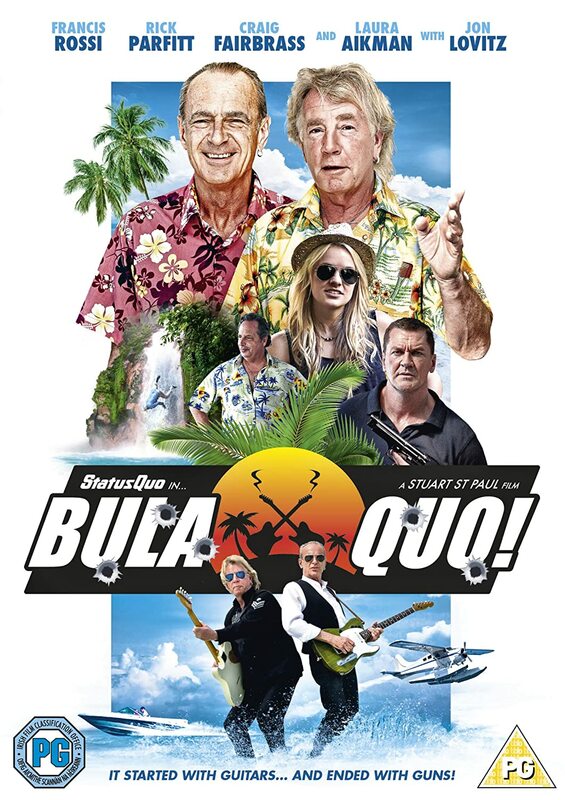 Bula Quo, British adventure comedy film starring Jon Lovitz, was filmed on Tivua Island. The gorgeous white sand island is located in the northern part of the Mamanucas. The movie showcases members of a famous rock band going on the run after they witness a murder in Fiji. The real island is surrounded by 500 acres of reef. Talk about a great location to work for a while! Chances are you’ve seen a few of the movies on the list above. Now, isn’t time to visit Fiji for real this time beyond the movie? In the coming weeks on our Fiji Vacations blog, we’ll pick some of the above favorites to talk in more detail and tell you how you can visit the actual filming locations. Stay tuned for more this June!